For the half-ton pickup market when you want diesel power there is only one choice to make. For whatever reason the Ram 1500 EcoDiesel is still the only one in this class to give you as a weekend warrior the light-duty full-size pickup you need to get some work done in the yard on your off days and be a reasonable daily driver with plenty of low end power from the torque and the efficiency to make it a possibility for driving to and from the office every day. There will be other pickups that will compete with this truck soon, but those will be in the midsized truck segment, not the full size where the Ram will continue to reign. The power for this perfect for the weekend truck comes from the 3.0-liter turbocharged EcoDiesel V6 which puts out 420 lb.-ft. of torque. This low end torque maxes out at a very low 2,000 rpm which makes it perfect for pulling, towing, pushing and hauling in order to be a fantastic workforce. 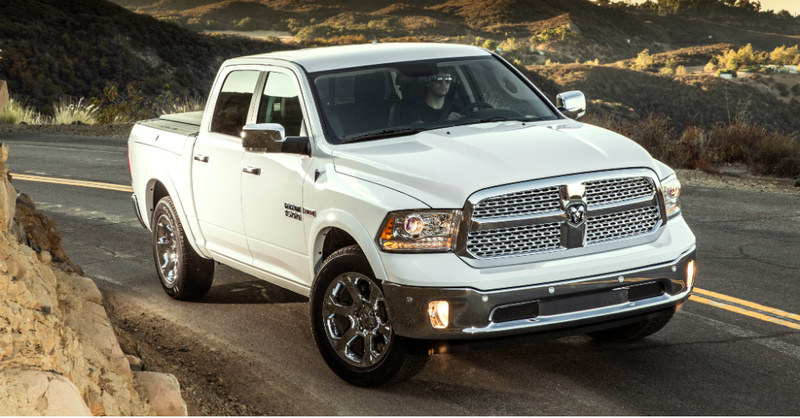 In comparison the gasoline powered models from Ram offers 269 lb.-ft. for the V6 and 410 lb.-ft. for the V8. Even though the gasoline powered trucks have more horsepower, when it comes to doing the truck work you want to do, torque is the way to go and the diesel has what you need. The towing power of this amazingly powerful engine comes in at 8,560 pounds, which is more than enough for most weekend warriors and even more than some workforces need to make it a great truck for any team. The difference in price for the diesel shows up at nearly $5,000 which is tacked onto the price of the truck before you ever head off the dealer lot. Because you are going to want to be able to tow and carry what you need you will want the Big Horn packaged added to your truck which brings in a Class IV trailer hitch, an electric shift transfer case, fog lamps, bright exhaust tips, a power driver’s seat, a leather wrapped steering wheel with audio controls, a folding rear seat and a 115-volt AC outlet. This will add another $1,205 to the price tag, but it certainly can be worth the overall price of the truck. If you choose to up the ante even farther you can exchange the rear axle for a better one, add front and rear rubber floor mats, the Uconnect system with an 8.4-inch screen and a full complement of services and 20-inch chrome wheels. If you do choose all these extras to put on the truck the overall price you can expect to pay comes in at $47,555, making it a truck that will bring you all the capabilities you want at a price you can afford and expect. When it comes to the fuel mileage numbers, which is a second reason to purchase a diesel, after the low end torque, the EcoDiesel gives you 19 city/27 hwy mpg. By comparison theV6 gasoline shows up at 16 city/23 hwy mpg and the V8 offers 15 city/21 hwy mpg. This makes the EcoDiesel the top in the class as it returns the best fuel mileage of the three in order to give you what you need to make this a truck that can be driven daily and not just put on the shelf to be brought out only when the truck is needed to get the job done. All this great performance from this truck does come with a tradeoff. The acceleration of the truck is not nearly as good as the V6 gasoline powered version. This is proof from the time to sixty mph that for the EcoDiesel takes 9.0 seconds which is 1.2 seconds slower than the gasoline equivalent. When it comes to the quarter mile time the EcoDiesel gives you a 16.9 second time with the gasoline powered V6 making it in 16.0 flat. Regardless of the times for these straight line runs to a particular goal, the EcoDiesel truck form of the Ram 1500 gives you a truck with the best power and towing at a great fuel number that you can have. This truck is certainly worth the extra cost in order to be a great truck for you to drive.